AirTV L.L.C. today introduced its "Local Channels DVR" feature to AirTV customers, allowing users to watch live and recorded local channels in- and out-of-the-home, no monthly subscription required. Recorded over-the-air (OTA) content is available in the Sling TV app alongside other Cloud DVR recordings. "The Local Channels DVR rounds out the complete cord-cutting experience for those wanting to integrate free local channels and DVR with a streaming service like Sling TV," said Mitch Weinraub, director of product development for AirTV. "Millions of Americans are embracing over-the-air antennas as part of their cord-cutting solution, and the ability to take their live and recorded content in and out of home with AirTV's Local Channels DVR is just an added bonus." 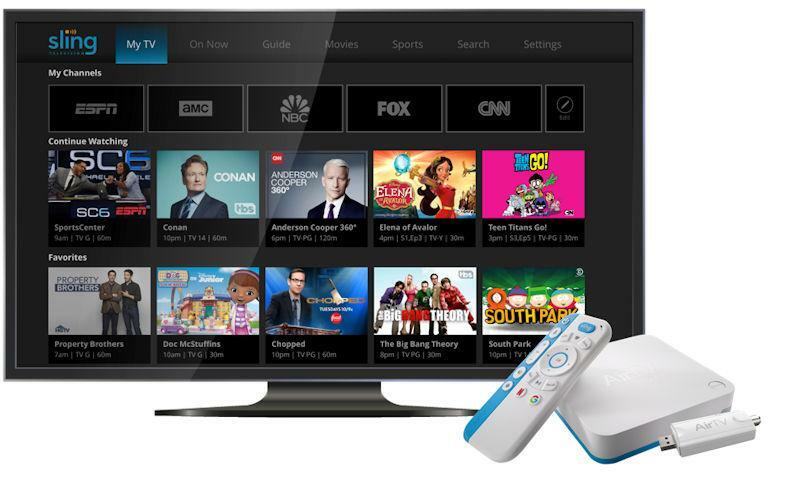 AirTV, an OTA solution launched in May 2018 and recently awarded CEDIA's "Best New Product Award," wirelessly streams free local channels to internet-connected TVs and mobile devices, in and out of the home, when connected to an OTA antenna and home Wi-Fi network. Users can access content via the Sling TV or AirTV apps. Local channel availability depends on geographic location and antenna quality and placement. Integrated DVR menu - Recorded OTA content seamlessly appears in the same menu as Cloud DVR content in the Sling TV app, indicated by an OTA icon. No Sling TV or additional subscription is required to access Local Channels DVR recordings. • For more information, visit the AirTV website.